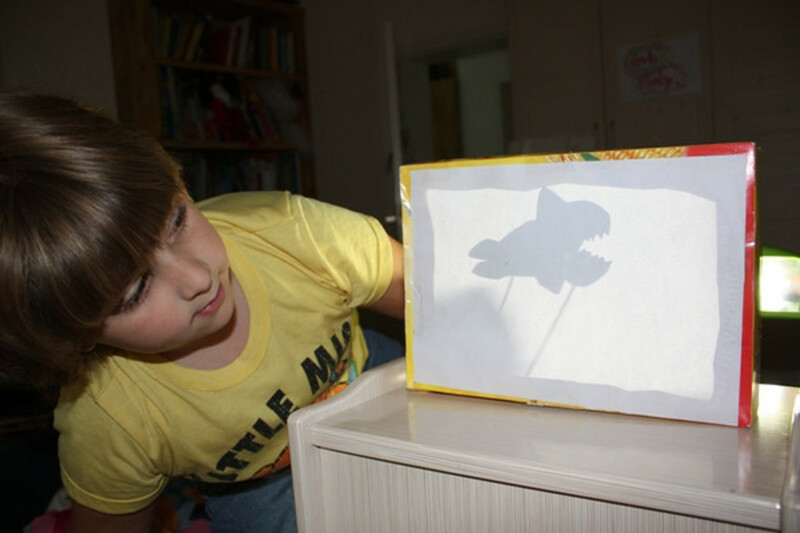 Making a shadow puppet theater is an inexpensive family time activity that will build memories. It could also be used to narrate back something read for homeschool or for a book report presentation. A desk lamp works well for the light source. Oh, and you need some imagination because there are stories to be told! 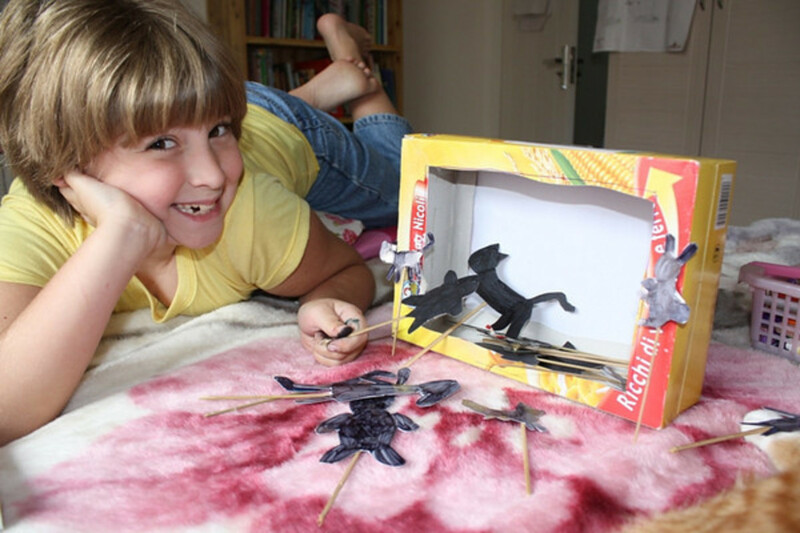 This is my daughter, soon to be 10 years old, posing with her newly created shadow puppets and puppet theater. This craft was so easy to make! We started with a cereal box, rescued from the recycling pile. 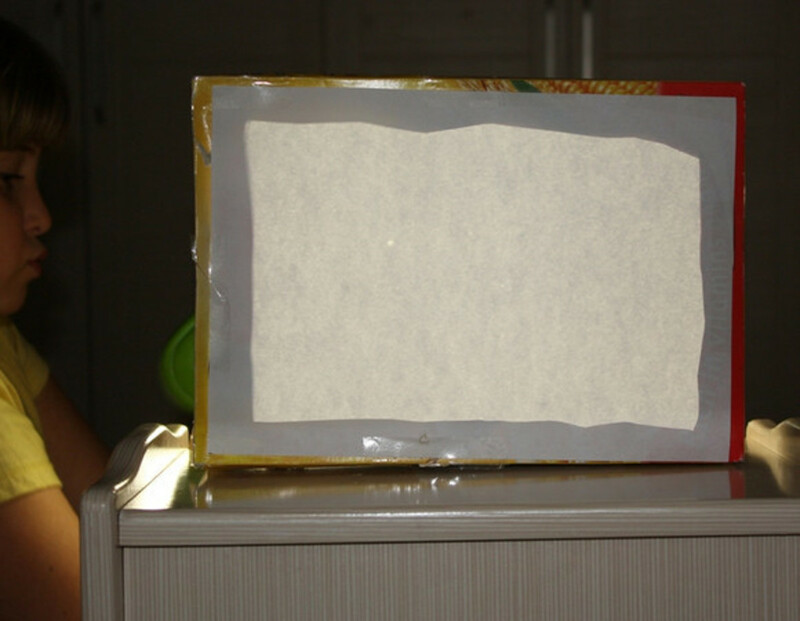 Tape the box up well so that it's sturdy and closed. Then trace about 1 - 1 1/2 inches away from the edges of the large faces of the box. Do this on both sides. These are your marking lines. Next cut out the large rectangles you just drew. We used a utility knife for this. Wait! Save the cardboard you just cut away! You can use that for making puppets. If you need to add more tape to the inside of the box to make it more sturdy, go ahead and do that now. Find a sheet of fairly thin white or light colored paper. Tracing paper or wax paper would work well too. We just used plain old copy paper. Tape that over the hole on one side only. That side with the paper faces your audience. The other side is where you, the puppetmaster will work your magic. 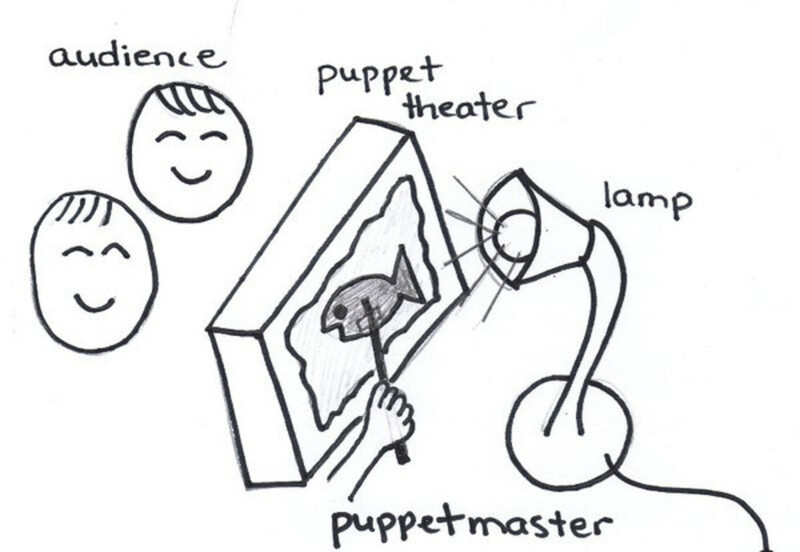 If you want to decorate your puppet theater, you can. But remember, it will be dark as you give your show, so the audience really won't see a lot of what you design on it. So keep it simple. The image to the right is an example of a possible border around your theater. 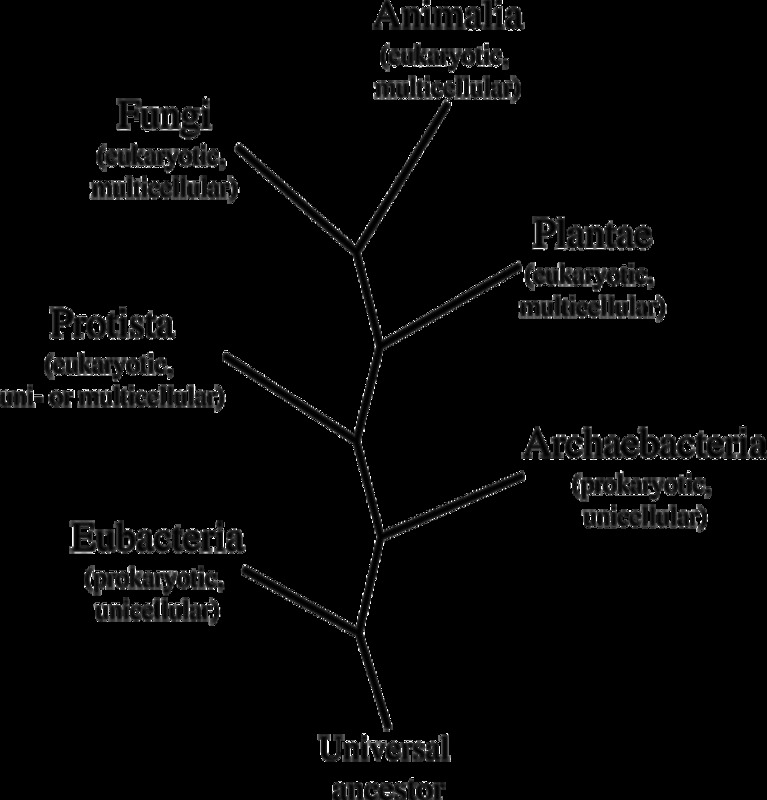 Click it to find the original image. Below are the puppets -- simply shapes cut from cardboard with sticks taped on. We used bamboo skewers, but you can use craft sticks or straws as well. To make your puppets more lifelike, cut out legs, jaws, or arms separately from the body parts and attach them with paper fasteners (brads). Be sure to attach a stick on each part so you can move both pieces. Sprite made her shark have a hinged mouth! Very scary! Now you've made your puppet theater and your puppets. All you need now is a darkened room, a lamp, and an audience to watch your brilliant performances! Set up your room like this with the audience on one side of the theater and the lamp on the other. You need to be between the lamp and the theater but not blocking the light, of course! Now here is my daughter Sprite testing the set up. It works! So now, on with the show!! Really, any shaped outline will do, so visit your favorite coloring page websites and find some nice outlines of animals, people, or objects. Here are some of my favorites: Edupics and Coloring Castle. To make hinged puppets, cut the legs (or other parts) separately, leaving room for overlap on both sides. Then use paper fasteners (brads) to affix them. Gorgeous shadow puppet templates with an underwater theme -- mermaid, shark, seahorse, fish, and a crab. For a muskox and a polar bear try this link. Jamboree shares a free template for enacting the Billy Goat's Gruff story. A beautiful hinged puppet template. Directions are here. Paper Dali has a long list of printables. Try these for narrating back your history lessons! Complete with hinged legs and arms! 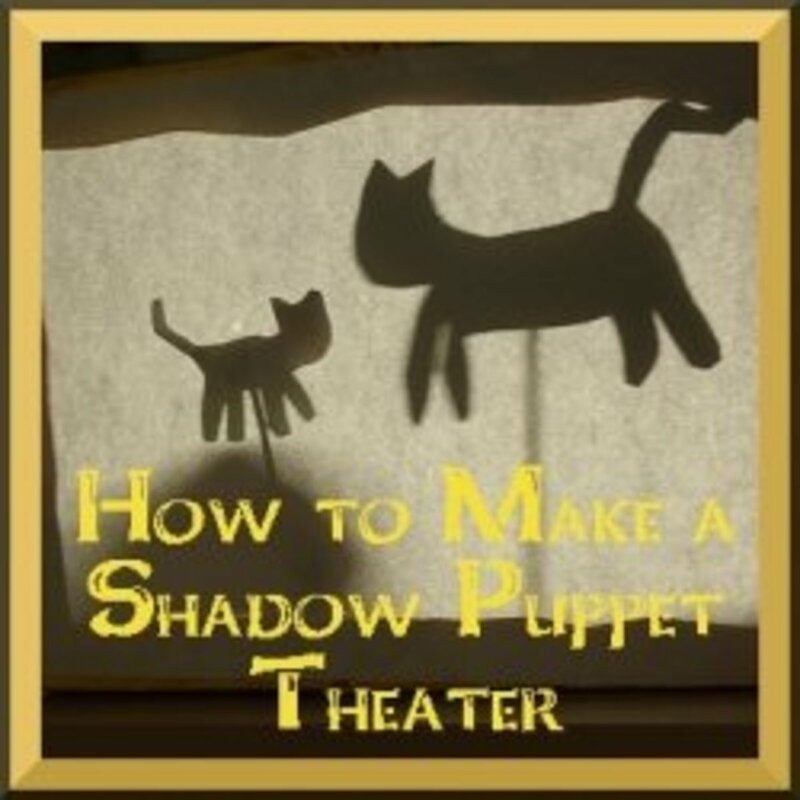 What is your experience with making shadow puppets? I've never made shadow puppets before, but I think I will try. I've never made shadow puppets before, and I don't plan to make them. I've made shadow puppets before. I've made shadow puppets as well as other types of puppets. I had this book as a child and spent a lot of boring evenings trying to mold my hands into the shapes indicated. Their shadow puppet theater gets frequent use. 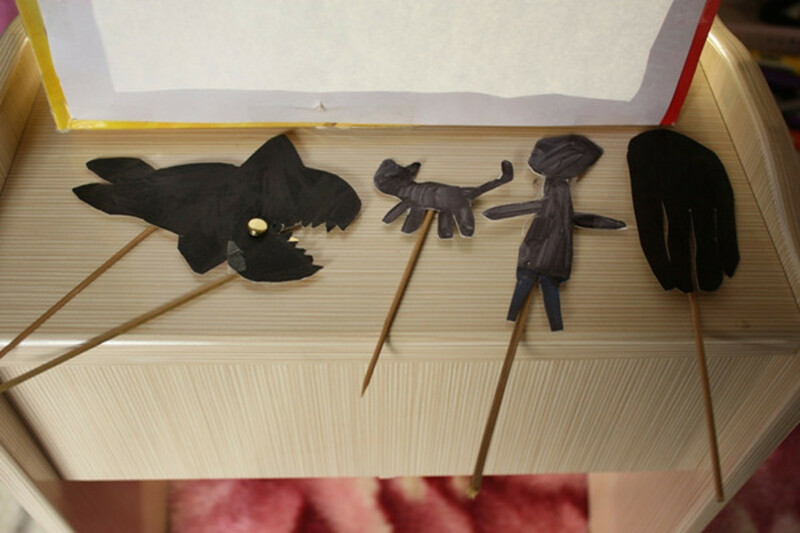 In this blog entry, the writer shares a fun guessing game, using their shadow puppet theater. MaryLea applies her creative genius to a puppet theater made from recycled boxes. 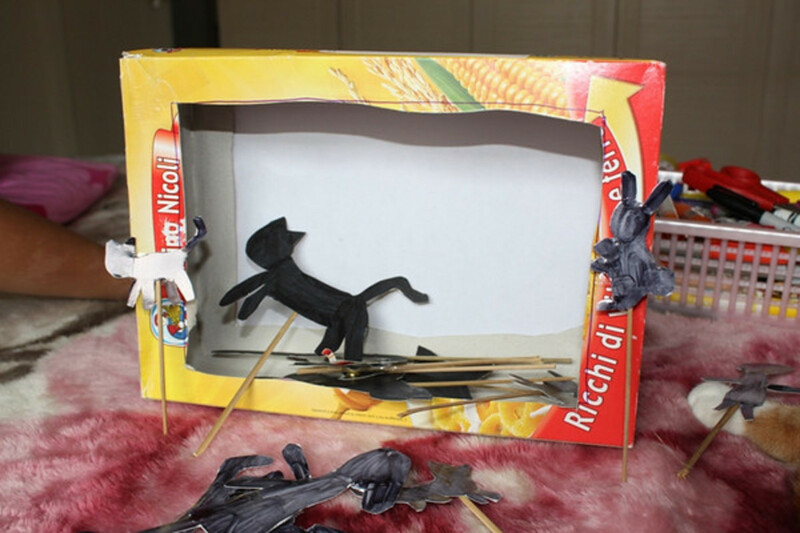 Here is another puppet theater design made from repurposed cardboard boxes. This video does give some good tips. I like his method of forming a hinge for the sticks on the puppets. This book is so interesting! Even if you don't buy it (it's quite expensive), please go to Google Books and check out the preview! 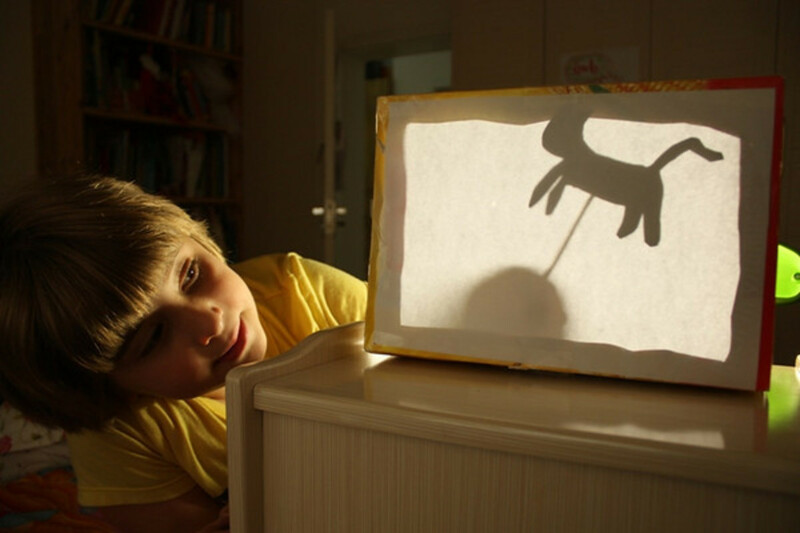 You're sure to get some great ideas for making shadow puppets! I did. This book is actually the inspiration for our making a shadow puppet theater! In the book, the Robertsons spend a cold winter's evening around the fire watching to Granny cast shadows on the wall as she tells a silly story about hobgoblins. 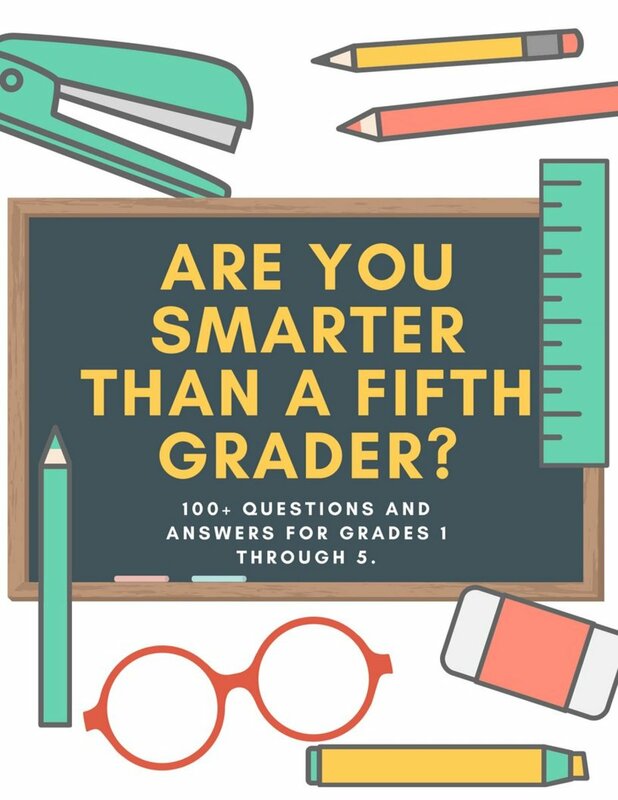 This is such a wonderful way to learn about the American pioneers. The book centers around the Robertsons, a backwoods family of nine. Engaging stories about their lives teach about the lifestyle of our American forefathers and mothers. Interspersed among the stories are factual pages with beautiful line drawings and activity suggestions. A fascinating book! Look at this book through Google Books for a full preview! Starting on p. 190 is the information about pioneers using shadow puppets for entertainment. Thanks for visiting. I hope that your puppet theater is a grand success! hahaha. love this! so fun. What a beautiful lens and a great resource for me! Thanks, I really needed this info and am very happy to find you. I'm adding you to my cat storytime lens a la Boris and the Wrong Shadow. Doesn't get much better than this when it comes to Squidoo lenses: personal story, step by step instruction, great concept. Facebook liked and pinned to my board :Fun for Kids and Adults who Think like Kids - and blessings of course. Great mothering, homeschooling or not. This is a great idea, I thought shadow puppets were a lost art, of course this one is with cutouts and not hand signals. How cute! Blessed by a Squid Angel. You really go beyond the expected with this lens -- fantastic! 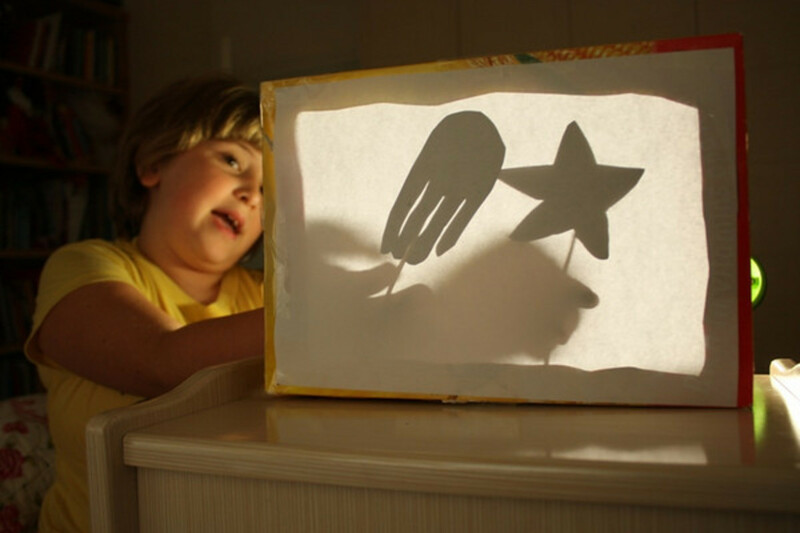 I've always loved making hand shadow puppets - this looks like a lot of fun, as well! Another wonderfully creative idea, thank you Jimmie:) Sending also love to your daughter who I got used to seeing on your pages...:)Angel blessed! This brings back a few memories! Nice to know somebody still makes these! This is a truly cute lens, good work. This looks so fun! My kids would probably like to create a Simpsons puppet theatre as this point ;) Your daughter's so cute. Nice work. Great instructions and the photos are terrific! I love this It looks like a lot of fun now I need is some kids. :) Really charming. Delightful. Blessed by a squid angel. I love this lens! I've loved puppets for most of my life and have created many with my own kids and in the classroom. What is especially nice about your lens is the way you've included pictures of your daughter doing the activities. Great idea, and amazing pictures! Blessed by a Squidoo Angel! So cute, great idea for a lens. I will try this one out! Fantastic! Such a fun idea. I can see kids being amused for hours with these. What an awesome activity for the kids. I'm looking forward to getting them started. Kudos on a great lens. my kids are going to love it!!! This is a very smart craft to make and in case I get back to work in schools, I will pick the idea and apply with the kids as after school interesting activity! Squidangel blessings to Shadow Puppet Theater! Shadow puppets look like great fun! What a great idea for and inexpensive way to entertain kids. My kids are 6, 4, 3, and 1 so they are just old enough (except the 1yr old) to enjoy this. Especially my six year old. He loves making things! Great lens! Fantastic. We used this one to incorporate into our Jack and the Beanstalk tales. Great idea. i think this is coo, and im like 12 i love this idea thanx!!! Very creative. Many thanks for the great idea. My daughter loved it! What a fun project! You always do such a great job with showing us how to create all of these great ideas. Yet another great lens, Jimmie! How innovative, I love the creativity and imagination usage for the kids. Great lens, it is very useful and beautiful. 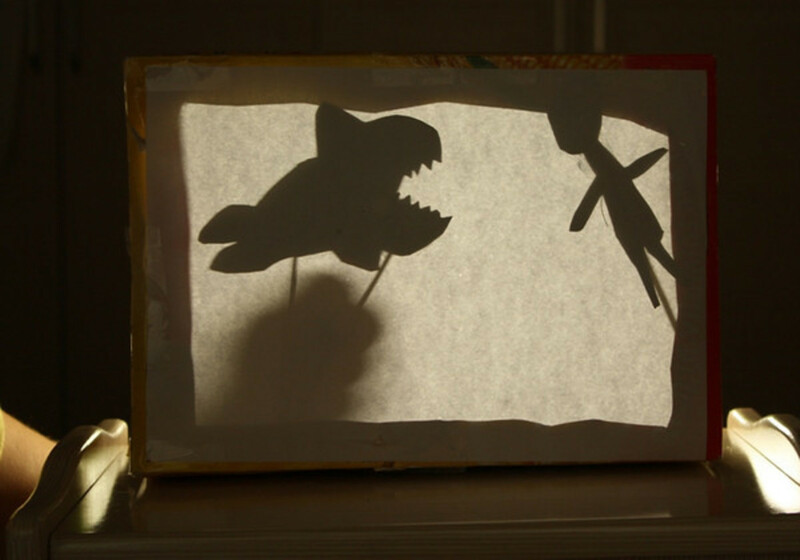 We have always used an old sheet but I love the idea of using a cereal box for the Shadow Box Puppet Theatre. Thank you so much for sharing and for joining the Unit Studies: Fun, Creative Hands-On Leaning Group.